Having already received plenty of attention from the music press, ‘One Stone’ with its huge sound, killer riffs and a memorable chorus that immediately grabs your attention, is an epic debut from the band. The Buzzard Orchestral were formed when an uncharacteristically rough school in Somerset threw Seb and Lewis into the same orbit – eventually spinning them both off to Wembley in North London right in the middle of the riots. Late nights and post-university blues then forged the union between them and Lexi, Ned and Ben. Drawing from the Nirvana rule book, they now cohabit in order to make the most of every minute in a terraced house in South London – which often morphs into a recording studio, an occasional venue and a photographic and film studio at various intervals … Their neighbours must truly love them! 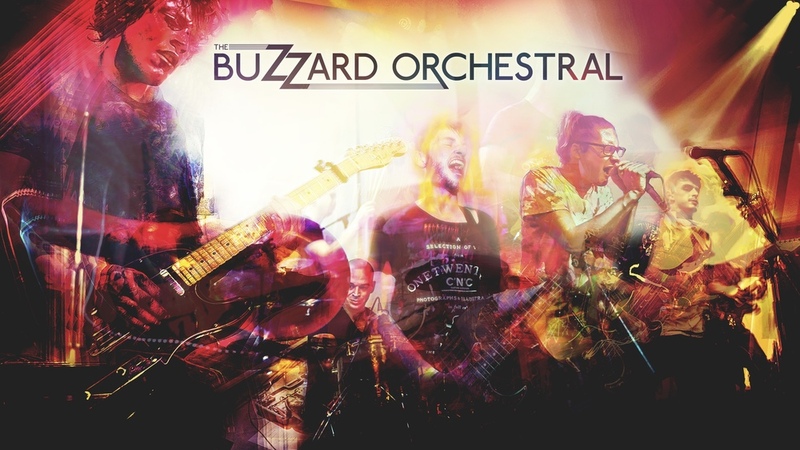 Having gone from playing a gig on top of a barge in Regents Canal to hundreds of people with only one guitar and 3 strings between them, to supporting Funeral for a Friend, The Buzzard Orchestral are a band that is destined to soar in popularity with the release of their debut single.